We are saddened to learn of the death of the great Ornette Coleman. 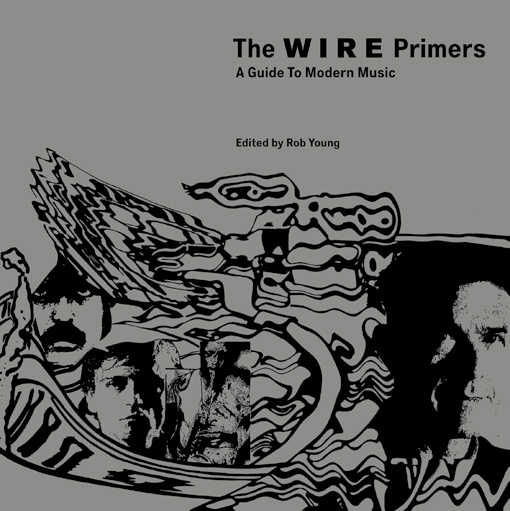 Below we have posted Barry Witherden's guide to Coleman's recordings, first published in The Wire in 1999, and revised and updated for inclusion in 2009's The Wire Primers. Like the composer Charles Ives, Ornette Coleman has suffered from a commonly held misconception that he is a ‘naive artist’. Such an impression is rooted in two anecdotes, neither accurately reported nor understood. When Ornette got his first alto saxophone at the age of 14, he taught himself to play from a piano tutor and mistook C on the alto for A. He eventually realised his mistake, but the misunderstanding made him examine pitch and harmony in a fresh way. 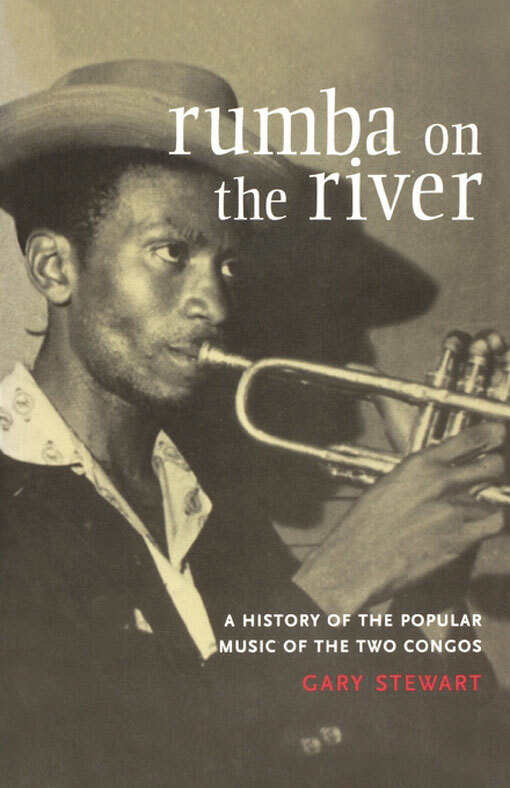 Thus began the process which led to an improvising style based on freely moving melody unhindered by a repetitive harmonic substructure, and finally, to his theory of harmolodics – a democratic, holistic organising principle that accords equal weight to melody, harmony and rhythm. The second fallacy stems from the time Ornette was a member of R&B guitarist Pee Wee Crayton’s group in the late 1940s. The group’s repertoire was heavily based on blues progressions, and the story goes that Ornette played the blues so badly that he was paid to keep quiet. In fact, he has always been capable of playing blues; he just chose to play something different. Crayton is on record as saying that he was impressed with Ornette’s abilities and hired him to play the blues. He told Ornette forcefully to either play what he was paid to play or keep quiet. So Ornette put up and shut up. If one believes that Ornette devised his style of playing as a way of concealing his mistake about pitch, and that he couldn’t cut it as a member of an R&B band, we get a picture of Ornette as a recalcitrant instrumental incompetent who nonetheless became one of the greatest and most influential musicians of the twentieth century. Surely some anomaly? 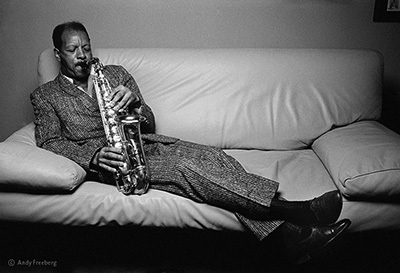 Ornette (somehow it never seems right to refer to him as Coleman, or Mr Coleman, which fails to capture either the respect or affection he merits) was born in 1930 in Fort Worth, Texas. He played tenor in his high school band (alongside saxophonist King Curtis, drummer Charles Moffett and flautist Prince Lasha) and in various jazz and R&B outfits around the toughest local nightclubs. He was known as a barwalker and honker, influenced by the likes of Jay McNeely and Arnett Cobb, though when he switched back to alto he favoured Charlie Parker. Most major jazz innovators kicked the music forward by solidifying ideas already in the air; Ornette knocked it sideways into a new groove. Where once Louis Armstrong supplanted a collective, contrapuntal music with a vehicle showcasing individual genius, Ornette almost reversed the process, democratising the music and its performance by breaking down the hierarchy of tune and accompaniment, of leader and sideman. Ornette’s playing is firmly rooted in Charlie Parker’s innovations – as later recordings like Sound Museum make clear – but in freeing the melody, he jolted jazz out of its 30 year obsession with chords, opening the way to new modes of expression unrestricted by ‘unnatural’ musical structure. In his youth, after passing through a succession of touring groups, he found it hard to get anyone to play with him until he eventually hooked up with Crayton, which took him to Los Angeles in 1950. There he made contact with likeminded musicians such as trumpeters Don Cherry and Bobby Bradford, and drummer Ed Blackwell. He also impressed Contemporary Records enough to make his first two albums, Something Else!!!! (1958) and Tomorrow Is The Question! (1959). Aside from Don Cherry, most of the musicians on the records, including drummer Shelly Manne and bassists Percy Heath and Red Mitchell, were grounded in cooler shades of jazz, somewhat limiting comprehension of Ornette’s aims. But their openness and commitment to the music cannot be doubted. Both albums are well worth hearing. The recordings Ornette’s quartet made for Atlantic between May 1959 and March 1961 were packaged by the label as revolutionary moments in jazz history (check the futuristic titles) but the music justified the hype. The albums featured unparalleled compositions and performances, among them “Beauty Is A Rare Thing”, “Focus On Sanity”, “Ramblin’ ”, “Tears Inside” and the ravishing “Lonely Woman”. Whether ballads, blues or something more abstract, the music sounded graceful, meticulous and revitalising. The albums are all available separately, while the superb box set Beauty Is A Rare Thing collects every complete track that escaped the fire which destroyed Atlantic’s warehouse in 1976, and is unconditionally recommended. On the first Atlantic release, The Shape Of Jazz To Come, a short-haired Ornette is pictured on the red and white sleeve cradling a white plastic alto sax, which looks like it has been sculpted from ivory. Everything about the album is captivating: the jagged unpredictability of the fast tunes; the crepuscular romance of the ballads; the crisp drumming of Billy Higgins; Charlie Haden’s sonorous, richly melodic basslines; and Ornette’s magnificent alto. As a description of his playing, Val Wilmer’s “happy urgency” has never been bettered. These first Atlantic performances demonstrate how well he had learned from his early exercises in song form. There’s more than just that singing vitality, though. Ornette’s phrasing sounds both asymmetrical and perfectly balanced.His melodic sense is deft and elegant. His tone, though often strident, is capable of darting from shrieking falsetto, to thin, lonely keening, to burred, barrelchested low notes. Its mimicry of human sobs and laughter harks back to worksongs, field hollers and beyond. His playing paints a rainbow in shades of silver and chrome, then explodes into a swathe of crimson velvet. The following Change Of The Century (Atlantic, also 1959) opens with “Ramblin’ ”, which features one of Ornette’s best solos over Haden’s Bo Diddley-inspired bassline. This Is Our Music (Atlantic 1959 yet again, with Ed Blackwell replacing Higgins) includes the haunting “Beauty Is A Rare Thing”, and the group’s first and last recording of a standard, the slow deconstruction of “Embraceable You”. Scott LaFaro took over from Haden on Ornette (Atlantic 1961) and Ornette switched saxes for Ornette On Tenor (Atlantic 1961), which had Jimmy Garrison on bass. At the time, the larger sax seemed to make the execution of Ornette’s ideas a little cumbersome; but the remastered CD version brings out the rich throatiness of his tenor tone. If his career had ended with these records, his place in the hall of fame would have been assured. Ornette’s Atlantic tenure saw him branch into new ventures. One of them proved a dead end, while the other turned out to be hugely influential. He and Don Cherry were sponsored by the label to attend the Lennox School of Jazz, where they earned the admiration of classical composer/academics like Leonard Bernstein and Gunther Schuller, the main exponent of the fusion of jazz and classical known as Third Stream. In December 1960 Ornette recorded a number of Third Stream compositions with Schuller’s orchestra (which included Eric Dolphy, Bill Evans and Scott LaFaro). Third Stream turned into an aesthetic cul de sac, but the sessions, originally released as Jazz Abstractions, produced some excellent music. The remastering of the two pieces included on the Rhino box set brings out many unheard subtleties. The next day, Ornette let loose Free Jazz, a “Collective Improvisation” by a specially assembled double quartet, which teamed Freddie Hubbard with Cherry, Ornette with Dolphy, Haden with LaFaro, and Higgins with Blackwell. When the record was released in 1961, the cover featured a reproduction of White Light, a 1954 painting by Jackson Pollock, reinforcing the notion that this was the musical equivalent of abstract expressionism’s trailblazing modernism. 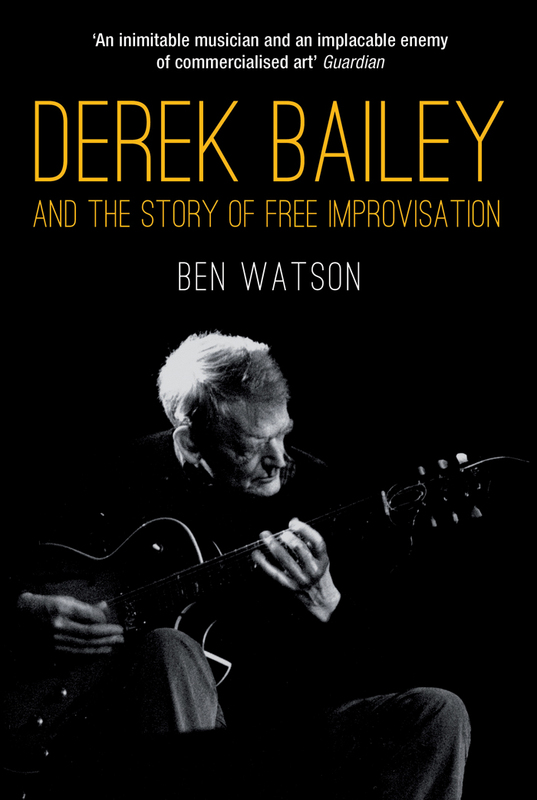 Despite its manifesto title, Free Jazz, which consists of a single 40 minute piece, adheres to a fairly conventional structure of solos interspersed with a ragged themed ensemble, but the double quartet format led to some stimulating contrasts. The downside was what it inspired: thousands the world over who thought improvision was merely getting up and blowing all at once. By 1962, Ornette’s trio comprised the unique David Izenzon on bass, and Charles Moffett, who, along with Ed Blackwell, has never been surpassed as the best drummer for Ornette’s music. A few impressive pieces by the trio, plus string quartet on the chamber piece “Dedication To Poets And Writers”, were released as Town Hall 1962 (ESP-Disk 1962). Soon after, embittered by the lack of commercial headway, Ornette attempted to become his own manager. He refused all engagements that offered less than he thought he was worth (that is, all offers), precipitating a two year ‘retirement’ from 1963–64, during which he took up trumpet and violin. In 1965 the trio re-emerged to play New York’s Village Vanguard, and in June they recorded Chappaqua Suite. It was supposed to be the soundtrack to a movie by Conrad Rooks, but the music resulting from their ten days in the studio was so powerful that the director feared it would overshadow his film. He hired Philip Glass to edit the music, but Glass refused to vandalise what he recognised as an exceptional piece of work. Against Ornette’s wishes, Rooks sold the rights to the recording to French CBS, who released an edited version on a double album in 1967 (reissued as a double CD in 1996). Chappaqua Suite is nearly 80 minutes of adrenalin pumping, soul stirring, twentieth-century pan-tonal, angular blues, with Izenzon and Moffett in magnificent form, pacing Ornette as he soars, swoops and strafes the brass and string ensemble. Ornette’s harmolodic system first made itself evident in classical pieces such as the wind quintet Sounds And Forms, from the live album An Evening With Ornette Coleman (Freedom LP 1965, Tokuma CD 1997), although its inventor says the system was already there in his music from the 1950s. Much has been written about harmolodics over the years, mostly about how impenetrable the system is for outsiders. But if you listen to what Ornette has to say about it – “I think of communication as a form of energy that allows everyone to be equal. I call it harmolodics” – it seems a wholly benign, intuitive and organic process. That concert also included the first example of Ornette’s trumpet and violin playing. He may not have been fully trained on these instruments, but his adoption of them was part of his search for an instinctive way of playing music, a desire to play “without memory”, unrestricted by the baggage of conventional techniques and rules. He has described his work on violin and trumpet as being more “unconscious”; although this concept is rather more plausible for the violin than the trumpet, which requires a certain basic grasp of technique before even the slightest phrase can be produced. Though Chappaqua Suite was his first recording with the Izenzon/Moffett trio, the two volumes of At The Golden Circle, recorded in December 1965, were released earlier. At the time, bassist Izenzon’s remarkable technique – particularly his weird, buzzing, wailing arco work – was applauded, but Ornette’s trumpet and violin playing and Moffett’s drumming drew critical brickbats. Moffett did not fit any category, so the simple fact that he was a most flexible, imaginative, powerful and witty percussionist tended to get overlooked. The Golden Circle sessions showcase some typically fine Ornette songs, from the nursery rhyme transparency of “European Echoes” and “DeeDee” to the atmospheric “Dawn”. At about this time Ornette’s innovations had triggered a strange critical syndrome. Earlier breakthroughs are sympathetically reassessed once something even more difficult comes along: after Archie Shepp, Albert Ayler, Pharoah Sanders and the cataclysmic developments in John Coltrane’s later music, Ornette began to sound far more listener-friendly. On The Empty Foxhole, recorded in September 1966 – his first studio recording for four years – Ornette showcased a different trio, with Haden back on bass and his ten year old son Denardo on drums. The choice of Denardo was another move in the process of minimising the repressive effect of experience: Denardo was too young to have developed his own clichés and preconceptions. The idea works better on paper than on record. After Higgins, Blackwell and Moffett, Denardo certainly sounds limited, yet he contributes an undeniable freshness and charm to the music. Ornette’s trumpet, while still sounding primitive, comes together on “Freeway Express” and the title track. Overall, Foxhole is one of his most atmospheric recordings. Two years later, Ornette enlisted Jimmy Garrison and Elvin Jones, late of John Coltrane’s quartet, for New York Is Now. After so many years involved in Coltrane’s struggle with the potential of chords, the question was how would they adapt to Ornette’s melodic approach? After Denardo, Jones’s immensely sophisticated drumming could hardly have made a more shocking contrast. Of course, it caused a shift in the balance of the music. The relationship between the front line and rhythm section sometimes edges towards conventional jazz, but these are all musicians who know how to adapt, to interact, to give and take. Dewey Redman on tenor completes the new quartet. His guttural tone, and strange humming and gargling effects, are a fascinating contrast to the bright, darting brass of Coleman’s longtime foil, Don Cherry. For Ornette watchers, the late 1960s and early 1970s are seen as a period of marking time. Two valuable compilations of unissued Atlantic tracks, Twins and The Art Of The Improvisors, were issued as stopgaps, including a warm-up version of “Free Jazz” (all these are now included on the Rhino box set). Then, in 1971, Ornette rounded up the usual suspects for Science Fiction: Blackwell, Higgins, Redman, Haden, Bradford and Cherry. For the first time, Ornette gave prominence to words and electricity. He drafted in Asha Puthli for the dream-like (or trip-like) “What Reason Could I Give” and “All My Life”, and poet David Henderson for the title track. “Rock The Clock” (the pretext for much heckling, calls for “Lorraine”, and diffident pleas from Ornette for the audience to give a fair hearing to new material at the group’s 1972 London gig) featured Ornette on trumpet and violin, Redman on musette and Haden playing bass through a wah-wah pedal. The title suggests that Ornette thought the track matched rock’s energy. But like the contemporaneous electric music of Miles Davis and Herbie Hancock, nothing on Science Fiction sounds compatible with rock’s aims, attitudes or intentions, let alone its rhythmic sensibilities. 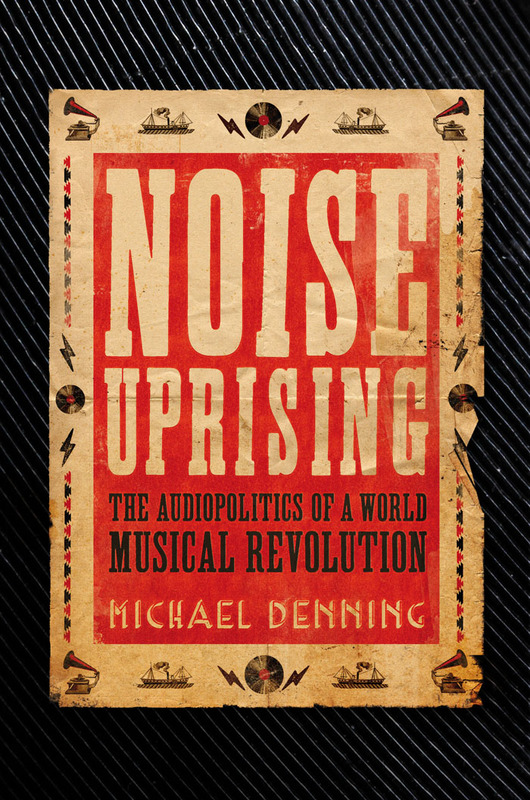 The beat, though louder and more intrusive, remains an integral part of the total structure, rather than part of a rhythm track on which everything else runs. If funk is a basketball thwacked smartly between hand and floor, Prime Time kicked it down a hill and chased after it, sometimes careering out of control in the attempt to catch up with it. Prime Time was the group Ornette formed in the mid-1970s to carry his harmolodic vision forward using the elements laid down on Science Fiction: electric instruments and the mutation of rhythm patterns patented by Hendrix, James Brown and The Grateful Dead. The group would eventually be constituted as a double trio (two guitarists, two bassists, two drummers, all swapping lead and rhythm lines at will, plus Ornette), but its earliest incarnation was a quintet featuring guitarist James ‘Blood’ Ulmer and drummer Ronald Shannon Jackson. Live, Prime Time was all braying aggression verging on nihilism; it sounded like Ornette was holding up the roof while the others demolished the walls, like more of those hecklers providing a distracting background to a great orator. Whatever the leader’s democratic intention, Ornette has always dominated Prime Time, whether because of the relative anonymity of some of the musicians who subsequently came into the group, or because of the way the music is set up, or simply because he is a greater talent than his colleagues. His incisive, elegant alto playing, spooling out endless melodies and spanning tonalities, remained the focus of attention, while the rest of the group busied themselves around him. Prime Time sounded more cohesive in the studio, where the musicians could be better balanced. The tracks on Body Meta and Dancing In Your Head were mostly cut at the same session in Paris in December 1975 and were the group’s first recordings. Ulmer had left by this point and the records feature the twin guitars of Charles Ellerbee and Bern Nix, their lines entwining each other like rapturous serpents while overlapping with Jamaaladeen Tacumas’s finger-popping bass-lines and Shannon Jackson’s parade-ground polyrhythms. Among the five tracks on Body Metaare reworkings of two old favourites, “European Echoes” and “Macho Woman”. The pattern was set clearly, with Ornette dictating the pace and Prime Time sounding like a big band in revolt in the back of the studio, especially in the early stages of “Home Grown”. Dancing In Your Head includes a brief extract from the recordings Ornette and clarinetist Robert Palmer made with The Master Musicians Of Joujouka in Morocco in 1973 (apparently, about three albums’ worth of material was recorded, but has never seen the light of day). The album’s two long Prime Time tracks sound relentless and claustrophobic next to the freshness of this meeting of cultures – one characterising twentieth-century jazz, the other representing a tradition which for centuries pervaded and guided the development of music across thousands of miles of Southern Europe, Eurasia, North Africa and India. Yet in both contexts Ornette comes across as adventurous, authoritative and utterly sincere. Despite his use of electric guitars in Prime Time, which he said could deliver the kind of textures otherwise only available from an orchestral violin section, Ornette’s 1986 album with Pat Metheny came as something of a surprise (although in the light of Metheny’s apocalyptic meeting with Derek Bailey on the 1997 The Sign Of 4, the project appears very benign). Metheny had already played with previous members of Ornette’s groups, including Redman, Haden and Higgins, and both Prime Time guitarists had studied under him at Berklee; but the question still remained: why would Ornette choose to record with the guru of jazz-lite, rather than, say, Ulmer, Sonny Sharrock or Vernon Reid? One answer is that it presented a challenge to both musicians. Another might have something to do with the fact that Metheny was signed to Geffen. Although Metheny does most of the adjusting, there is an evident respect for each other’s playing and writing throughout; and flanked by Haden, Denardo and second drummer Jack DeJohnette, they exceed everyone’s expectations except their own. An expanded version of the album, containing several previously unissued tracks, was released to mark its 20th anniversary. To underline the assertion that the principles buttressing Prime Time had been there all along, In All Languages (Caravan of Dreams 1987) was subtitled “30 Years Of Harmolodic Music”. One disc features a reformed version of the classic quartet, and the other showcases a double trio version of Prime Time. Several themes are common to both records, and the album is an ideal crash course in Ornette’s evolution. Virgin Beauty (Portrait/Columbia 1988) drew attention by featuring a guest appearance by The Grateful Dead’s Jerry Garcia. More crucially, the title track, with Ornette’s trumpet floating through a solarised forest of decaying lines and crumbling electronics, was a ‘ballad’ performance as startling as the 1959 version of “Beauty Is A Rare Thing”. Both albums are unfortunately out of print at the time of writing. In the early 1990s Ornette further expanded both the line-up and textural possibilities of Prime Time by adding keyboard player Dave Bryant and tabla player Badal Roy. He also formed a new acoustic quartet featuring M-Base pianist Geri Allen and bassist Charnett Moffett, son of Charles, Ornette’s drummer of three decades earlier. There were other significant developments throughout this period. In 1991 Ornette played the lead role in Howard Shore’s soundtrack to David Cronenberg’s film of William Burroughs’s Naked Lunch. The score set Ornette down in a number of scenarios, all of them riveting. The fleet, high energy trio performances with Denardo and bassist Barre Phillips revived memories of the Chappaqua Suite sessions; while the combination of Ornette’s wounded alto cry and wayward trumpet and violin improvisations with Shore’s Hollywood-dramatic orchestrations should never have worked, but proved irresistible. Alluding to Burroughs’s own experiences in North Africa, Shore’s score even folded in a sample of Ornette’s 1973 Moroccan recordings from Dancing In Your Head. On Tone Dialing, recorded with the new expanded Prime Time, Ornette continued to refine the processes he had begun with Virgin Beauty, making the music more harmonically focused and rhythmically tight. The careering ball had been brought in check – a bad move, some thought, akin to Rochester’s blinding, or the caging of the Creature from the Black Lagoon. A more balanced view has it that Ornette had assessed his experiments and identified new pathways. He once told Val Wilmer, “When you hear me you probably hear everything I’ve heard since I was a kid. In fact, it’s a glorified folk music.” One of his most varied and accessible albums, Tone Dialing, is a late demonstration of what he means by that. After half a century of ploughing a very personal furrow with self-immolatory integrity and determination, he has finally relaxed enough to say that his music should not be judged according to whether he can play bebop, blues or ‘Cherokee’ – he can play them all and a few other things besides. On Tone Dialing he ventures into Bach, rap, sound collage, and Latin and Caribbean rhythms with equal conviction. Ornette’s reconciliation with the piano, in the person of Geri Allen, was more surprising. The group on the 1958 Something Else!!!! had included a pianist, and the same year Ornette recorded with Paul Bley, but he did not use a keyboard player again until David Bryant joined Prime Time in 1992. In August 1996, Ornette invited German pianist Joachim Kühn to make an album of duets, which was recorded live at the Leipzig Jazztage and released as Colors. If anything, the eight tracks of high octane improvisation stretch Ornette even more than his work with Prime Time. He rises to the occasion magnificently, and prompts Kühn into some of his finest work too. This intense but intimate music sounds far removed from Tone Dialing’s sensory overload. But taken together they underline the breadth of vision that characterises all of Ornette Coleman’s music. Ornette’s first new CD to appear for nearly a decade was recorded in October 2005 at a concert in Ludwigshafen, Germany, during a European tour. His then-current quartet comprised Denardo and two bassists: Tony Falanga, who played elegant, soulful arco, and Gregory Cohen, responsible for crisp, potent pizzicato lines. The group’s sound evoked the classic trio with Izenzon and Moffatt, though the presence of a second bassist recalled the time when Izenzon and Haden were retained together. (They were the apposite precedent, rather than the paired basses in Prime Time, which created a quite different effect.) Cohen and Falanga made a superb team, in little danger of being eclipsed by comparison with their illustrious predecessors. This was, arguably, the first time that a new venture by Ornette harked back rather than broke fresh ground. However, if it is true that neither his performance, nor that of the group (either in this form, or in the edition which toured in 2007, augmented by Al McDowell on electric bass, and Charnett replacing Cohen) contained anything that could be described as cutting edge, the music was imbued with a brightness, airiness and open-hearted joy that often seemed absent from his work after the late 1970s. Nearly two years after this session, Ornette toured with the five piece version of the group, promoting the CD release. On the Spanish leg of the tour he collapsed with heat exhaustion. He was still in less than robust health by the time they appeared at London’s Royal Festival Hall in July 2007 but, once he began to play, his corporeal frailty was forgotten, utterly belied by the strength of spirit and imagination of his improvising. A fine melodist himself, Ornette rarely quotes other composer’s tunes, but on “Turnaround” on Sound Grammar he threw in unexpectedly substantial quotes from “If I Loved You” and “Beautiful Dreamer” before toying with their melodies throughout the track and, startlingly, at the Royal Festival Hall concert he quoted the opening bars of “Just a Closer Walk With Thee” on all but one number. Alongside Sound Grammar, this tour confirmed that he remains a lively, communicative and exhilarating player, still with much to say.